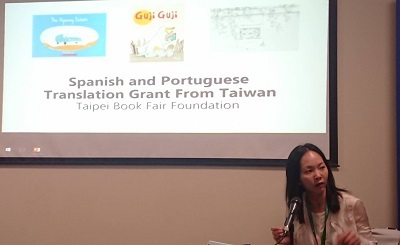 Taiwan Pavilion at the 2018 Guadalajara International Book Fair showed off the country’s translation grant program on Nov. 26th, and stimulates international interest in original works from Taiwan via exchanges with participant publishers at the event. 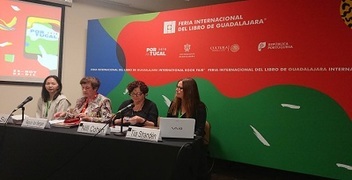 Presented at Salon C of the book fair, the Taiwan grant was a standout amongst similar programs introduced by various literary and publishing agencies from around the world. Such programs often play an instrumental role in bridging the language divide for notable works from different countries, and help them access unfamiliar audiences. 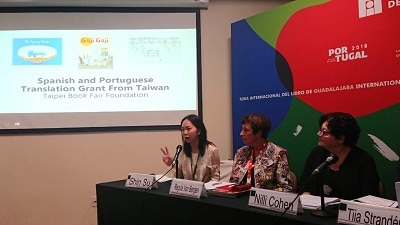 In addition to the translation subsidy from the Ministry of Culture, the Taiwan program includes the 2018 Spanish & Portuguese Publishing Grant Program launched by the Taipei Book Fair Foundation to expand presence in the Spanish and Portuguese markets, according to Shin Su of the Taiwan Pavilion. Su also took the opportunity to invite all publishing professionals present at the event to attend the annual Taipei International Book Exhibition to experience its diverse capacity for facilitating copyright transactions, book sales, and reading promotion. 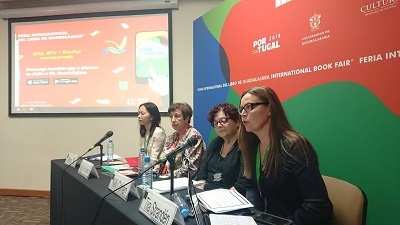 Also present at the event were publishers from the Balearic Islands, Brazil, Finland, Israel, New Zealand, Switzerland, and Turkey; who all shared the latest literary promotions and subsidization programs from each respective country.